Dr Michael Denton, M.D., Ph.D. is a molecular biologist at the University of Otago, New Zealand. He is not a biblical creationist. However, his book Evolution: A Theory in Crisis has exposed thousands to the overwhelming scientific problems of Darwinian belief. Though he now describes himself as an ‘evolutionist’, he is more open-minded than most. He thinks that the design of living things probably implies creative intelligence. He has always been, and still is, adamant that Darwinism ‘does not give a credible and comprehensive explanation of how the pattern of life on Earth emerged’. Dr Denton agrees that natural (as well as artificial) selection is capable of generating some change in living things. But he says it is ‘completely incapable of accounting for the broad picture, the complex adaptations required by the tree of life’. First, the nature of mutation (accidental changes in the genetic material of living things). He says that the ‘essential bedrock of Darwinism’ is the belief that ‘all the organisms which have existed throughout history were generated by the accumulation of entirely undirected mutations’. In his professional opinion, ‘that is an entirely unsubstantiated belief for which there is not the slightest evidence whatsoever’. The second problem he sees is that there is ‘a huge number of highly complex systems in nature which cannot be plausibly accounted for in terms of a gradual build-up of small random mutations’. Indeed, he says, ‘in many cases there does not exist in the biological literature even an attempt to explain how these things have come about’. 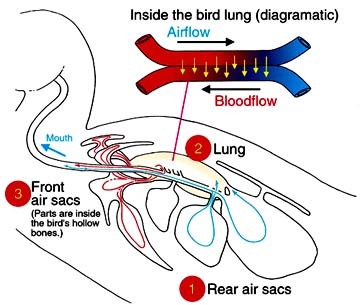 A classic example, he says, is the lung of the bird, which is ‘unique in being a circulatory lung rather than a bellows lung [see box]. I think it doesn’t require a great deal of profound knowledge of biology to see that for an organ which is so central to the physiology of any higher organism, its drastic modification in that way by a series of small events is almost inconceivable. This is something we can’t throw under the carpet again because, basically, as Darwin said, if any organ can be shown to be incapable of being achieved gradually in little steps, his theory would be totally overthrown. ‘The fact is that, in common-sense terms, if you have no axe to grind, there are a vast number of such cases in nature.’ Michael Denton, a recognised academic in his field, says that the claim that Darwinian gradualism ‘can generate the sorts of complex systems we see throughout the biosphere is not only unsubstantiated, but in many cases it is actually beyond the realm of common sense that such things would ever happen’. 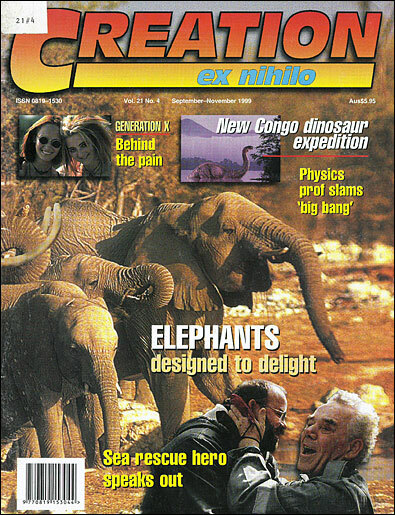 The quotations in this article were extracted (with permission) from a video interview available on cassette (NTSC) from Access Research Network, PO Box 38069, Colorado Springs CO 80937–8069, USA. It was then re-checked with Dr Denton to ensure it fairly represented his current views. The reptile lung, like ours, has an in-out bellows-like arrangement and does not have the counter-current circulation system. For a reptile lung to change into a bird lung by small steps, while remaining functional throughout and providing a greater advantage at each step, defies imagination, according to Dr Michael Denton, an open-minded evolutionist. Actually, bats do very well with the ‘bellows’ type of lung. This makes the selectionist argument for the origin of birds’ lungs (i.e. that they ‘needed’ them) even more difficult to sustain.